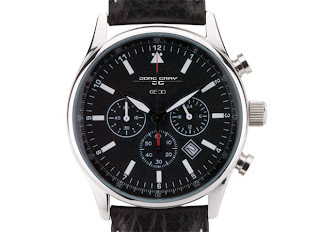 Here at African-AmericanBrides.com, we were thrilled to get to try out the new Jorg Gray timepiece. 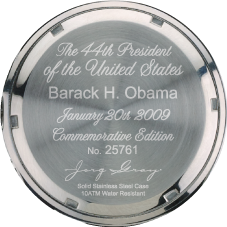 It's the Commemorative Edition of the Jorg Gray 6500 watch President Obama often wears. 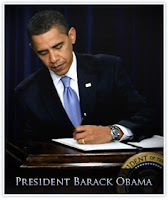 The President has been photographed while wearing the watch to several events, including the inaugural swearing-in and the signing of his first presidential proclamation. We didn't know what to expect until we received one, but in all honesty we were genuinely impressed with the quality. 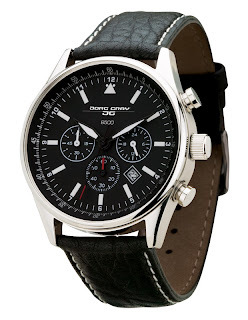 The first thing you'll notice is the thick, scratch-resistant crystal covering the watch's handsome face. The band is made of smooth Italian buffalo leather, while the casing is made of polished stainless steel. It's definitely one of those special gifts one might consider for a best man or groomsman. But considering the Obama's enduring marriage, it would be a purrrrfect gift for a groom! What man wouldn't love to receive this watch from his bride and show it off to his friends? You can see the rest of the line at JorgGray.com.